Trying to take on the State to fight a Lakeland dui arrest? Don’t try to go it alone! Lakeland DUI charges are taken very seriously by prosecutors and law enforcement alike. To achieve the best results you need to consult with the best dui lawyers Lakeland has available! Although it is not mandatory a judge can sentence you to up to six months in jail for a first time dui offense!! If your blow was over a .15 that jail time can increase to nine months! All for a first time dui charge! The only way to know if there is a possibility of avoiding this harsh penalty is to consult a competent and experienced Lakeland dui attorney!! 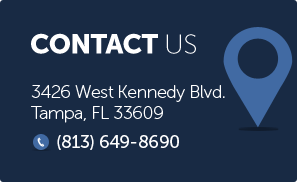 When considering the dui attorney Lakeland residents wish to hire, it is important to take into consideration the services your dui attorney is offering. Will the dui attorney represent you in administrative hearings to help you keep your license? Will the dui attorney take the case all the way to trial or will they only help you to negotiate a plea? Attending administrative hearings and being willing to go to trial are the two most important qualities the dui lawyer you hire should have! If is also crucial to find out if the dui lawyer in Lakeland you are considering has actual dui trial experience. Dui charges are highly technical and specialized. In order to successfully litigate your case you must find a lawyer with experience in challenging initial stops, breath test or blood results and dui officer protocol. If the dui attorney in Lakeland that you hire does not have this knowledge they could miss important parts of your defense! At Finebloom, Haenel & Higgins our attorneys care. We are dedicated, aggressive and understanding. With over 30 years of combined dui defense experience, our dui lawyers are in the best position to custom create a defense for you. But we can’t help I you don’t call. To speak with an experienced dui attorney in Lakeland about your case call 1-800-FIGHT-IT now. Our dui team is standing by 24/7 to consult with you. Don’t wait! Call now and let us help you fight your case today!